Show me your back! its time for embroidered jackets, Fall and Winter will be a lil´bit funny with this kind of jackets. Demin jacket, bomber jacket... whatever! its your choice! 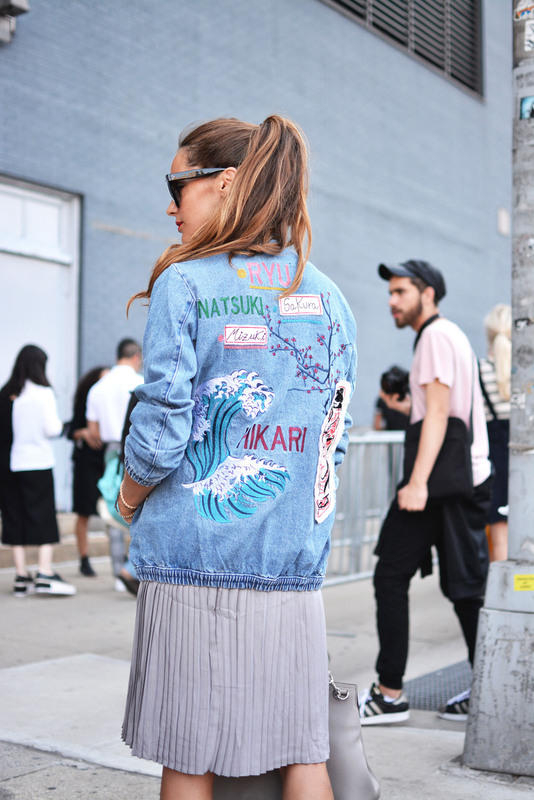 The denim jacket is extremely cool! Me encanta la falda plisada con la chaqueta vaquera!